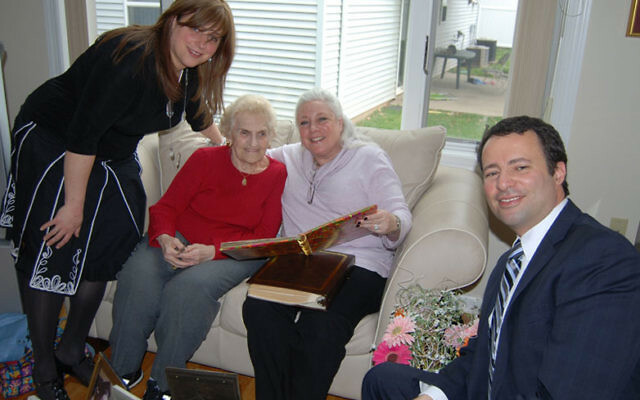 In the displaced persons camps in post-World War II Europe, quarters were often cramped, food was scarce, and showers were cold, but few people complained, Polish-born survivor Clara Kramer told visitors to her home in Elizabeth last week. 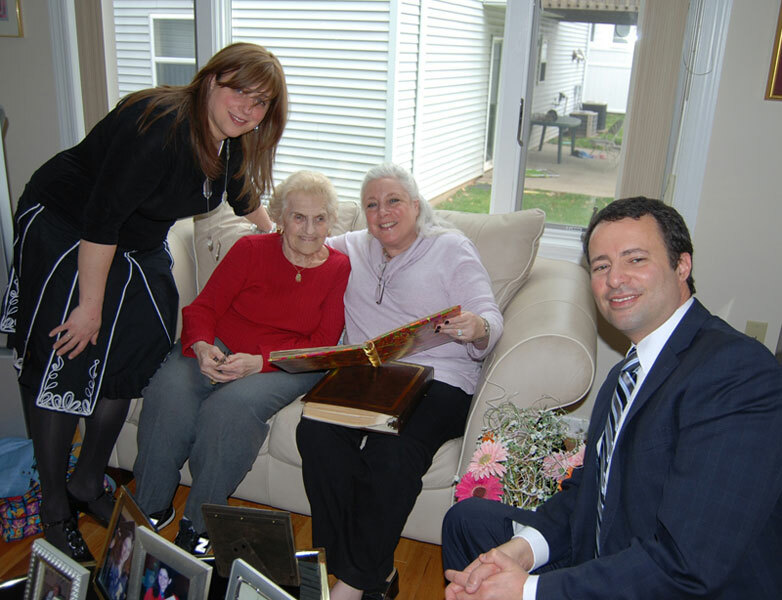 They were members of the committee organizing “New Beginnings: Displaced Persons Camps,” the annual Yom Hashoa Community Holocaust Memorial at Kean University, scheduled for May 2. That spirit of renewal will be celebrated — as those who died are commemorated — at the program in the Wilkins Theater on the Union campus. The event, the main one in the county, is hosted by the university’s Holocaust Resource Center — which Kramer helped establish — and the Jewish Federation of Central New Jersey. As in previous years, a number of survivors will serve as candle-lighters, kindling one flame each in memory of the six million. Their own stories of survival will be related by relatives or friends. Schools from around the region send groups of students; this year, there will a special element of student participation: The choir from the Jewish Educational Center’s Yeshiva in Elizabeth, which sings at the event every year, is being joined by the choir from Elmora Public School 12. They have been rehearsing apart and together, and will join up to sing the American and Israeli anthems, led by the JEC’s Hannah Solomon and PS 12’s Dr. Anna Kroik. The master of ceremonies will be Dov Ben-Shimon, executive director of strategic partnerships for the American Jewish Joint Distribution Committee. The JDC, in the postwar years, ran camps, helped reunite families, and provided much of the support that helped people re-establish their lives. Kramer welcomed Ben-Shimon at the meeting at her home. He was there along with Marcy Lazar, head of the planning committee, and Adina Abramov, the federation’s director of marketing and communications. Kramer won’t be there on May 2; she is receiving an achievement award from Union County in recognition of her service to the community that same evening, at an event on the other side of Morris Avenue. She told Ben-Shimon of her gratitude to the JDC. “I became a nurse because of the ‘Joint,’” she said. Young men were given job training organized by ORT, the Jewish educational nonprofit, but there was nothing for the girls to do. Kramer’s mother, ever a mover and shaker, according to her daughter, approached the JDC with the suggestion that they organize nursing training, which they did. For Kramer, that training proved useful not only in the camps but also when she and her husband arrived in Israel. She was no sooner off the ship than she was assigned to a hospital. She and Sol lived there for a number of years before coming the United States. In this country, she committed herself to doing all she could to educate people about the Holocaust. In addition to founding the resource center and speaking at countless schools and community events, she is also the author of a memoir, Clara’s War: One Girl’s Story of Survival. “Now that I’m getting older,” she said, “I realize that I lived in a historic time — not just the Holocaust, but also being in Israel.” For her, it was the logical next step after what she called the “revival” time in the camps.